I have been on the road for the last month. As I type this I am sitting in my hotel room in Bangalore, India. I will have a full post about India but I thought I woul do a bit of an update covering the last month. To start, things with my job have been changing. The travel is associated with part of that. I am in the process of taking over a large area of responsibility at work, still within the same function of Cybersecurity. While travel has picked up I am still maintaining balance which is most importat to me. As part of the new responsibilities, I have had to meet with people and join some groups. 3 weeks ago I headed to Minneapolis for a week to meet with my team and work on a large project. I make this trip several times a year so no big deal. 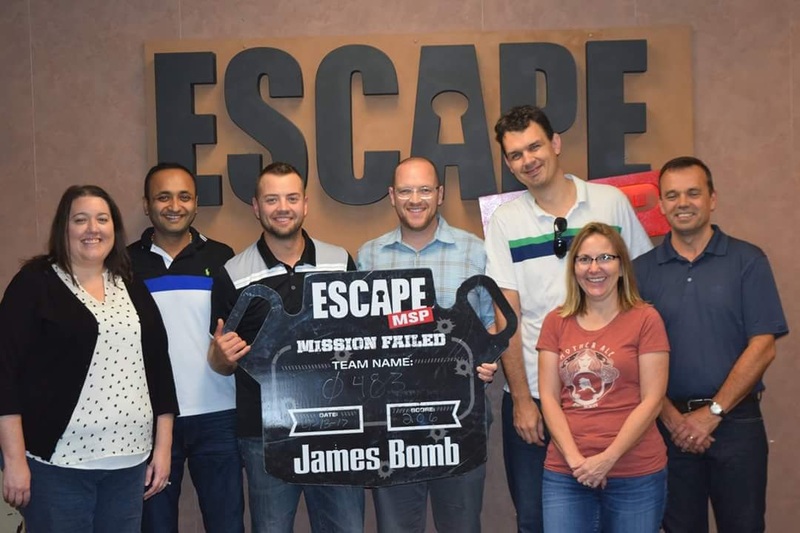 While there I did get to do an escape room with my team as a team building exercise. We were 5 seconds from success when the time went off! 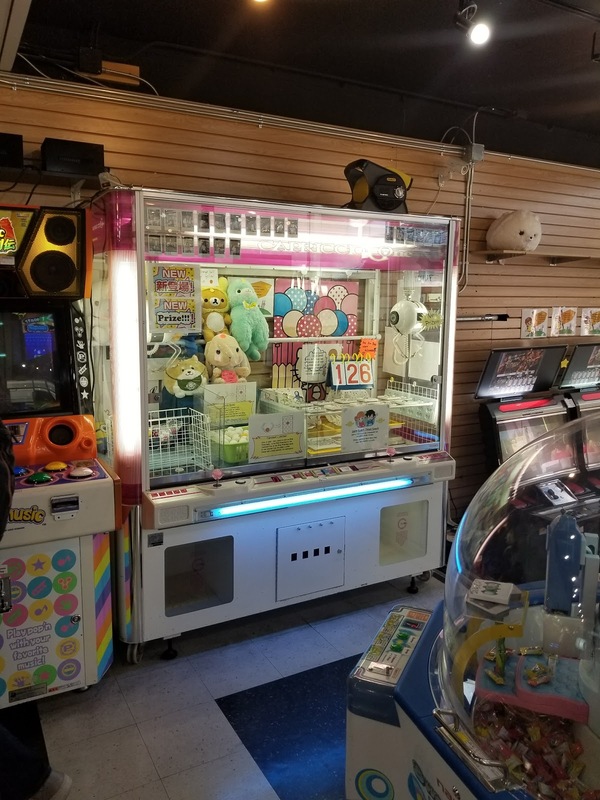 I was putting in the winning code at the very moment. It was a great time. 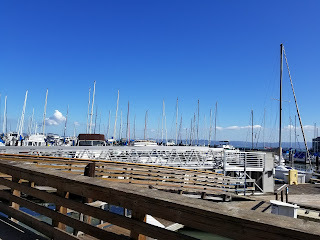 I headed home for 2 days and then headed back out this time to Silicon Valley. I was there join an executive SAP group with other large customers. I stayed in Palo Alto at a hotel called Dinahs Garden Hotel. I loved the hotel - my room had a sliding glass door that overlooked a koi lagoon. The food was awesome. 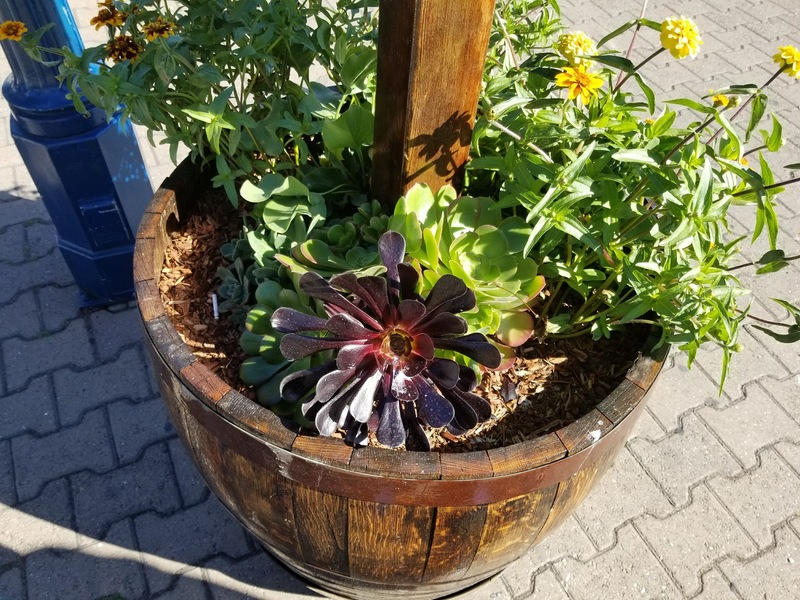 I really loved the location, right near Stanford University and the tech center of the United States. So may large IT companies besides SAP -- Google, VMWare, Nest were right next door. I wish Josh would have been there for that because he would have geeked out. I should go back at least annually so looking forward to that. Josh did join me in San Francisco later in the week and we made a long weekend of it to celebrate our 7 year anniversary. 7 years has flown by! 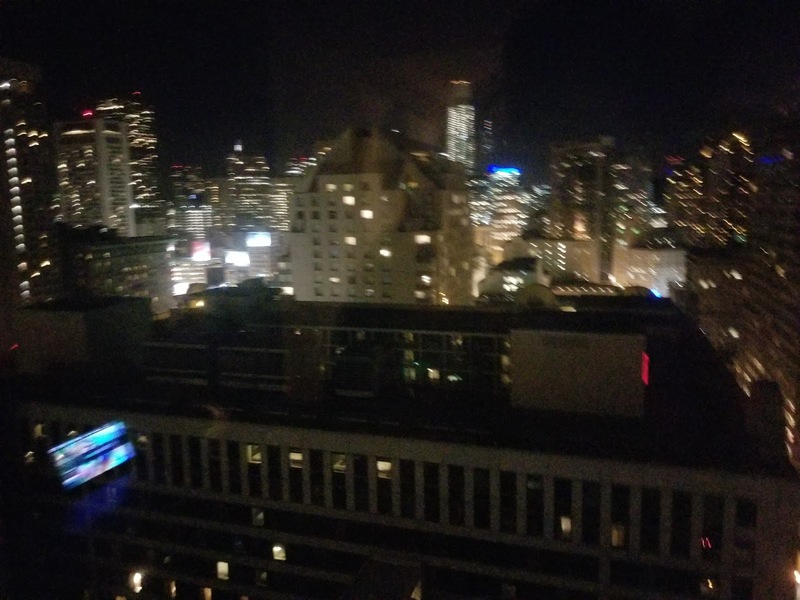 We stayed at a Hilton near Union Square and right by a BART train stop. 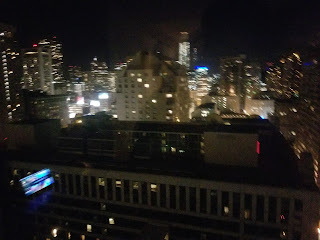 Our room had a great view overlooking downtown San Francisco. 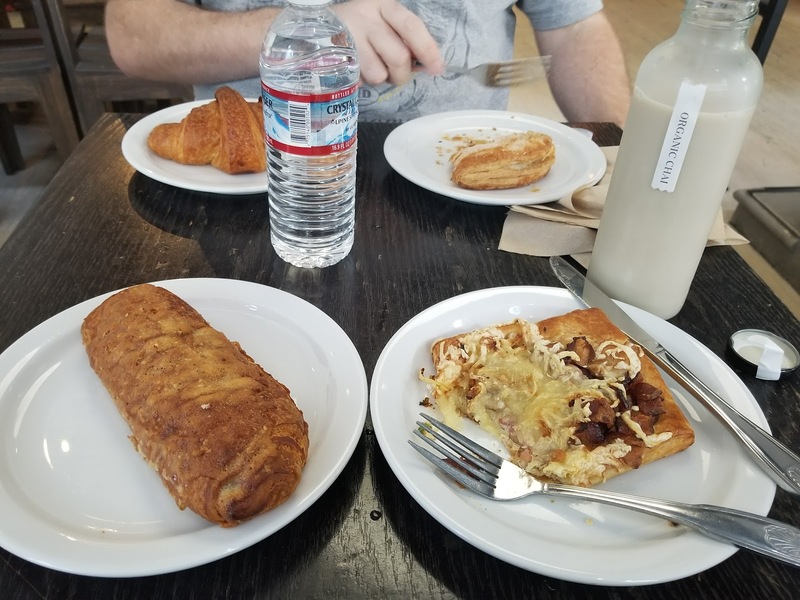 Breakfast was at french bakery called La Boulangerie that was so so good. 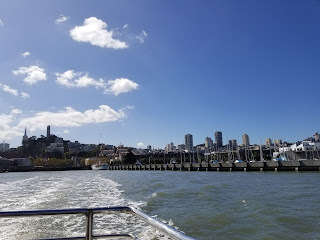 We did a whale watch tour which was highest on our list. 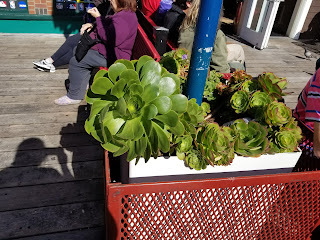 The last time we did one was in Bar Habor, Maine and we were hoping to see more activity this time. 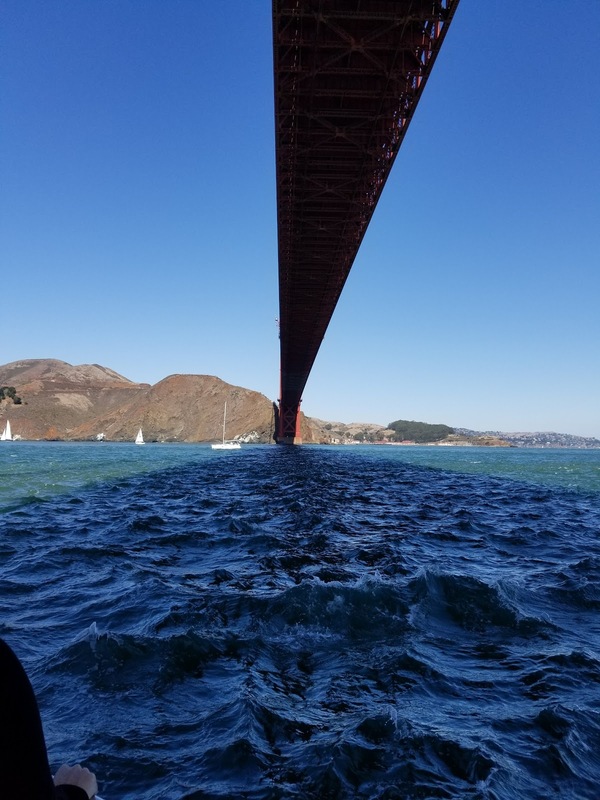 We did spot a humpback in the bay, right under the Golden Gate bridge that we were able to follow a bit. Unfortunately, no breaching. He stayed underwater most of the time. The cruise was enjoyable though. 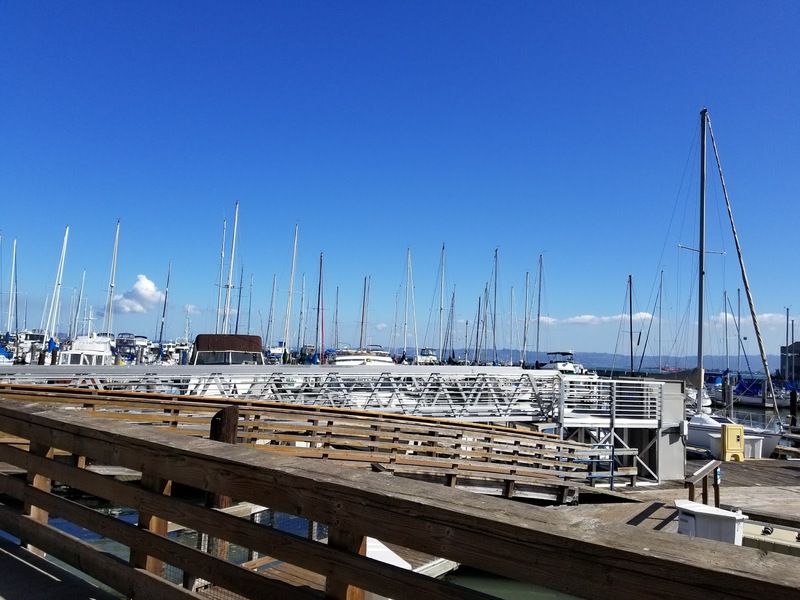 We at lunch at Fishermans Wharf. 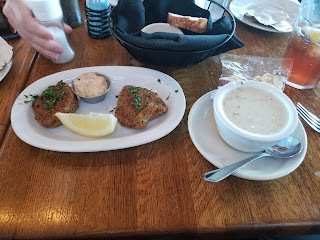 I had crab cakes and clam chowder and reminisced about the first time I traveled there as a kid with my family. My mom first introduced me to fresh crab there and I have loved it ever since. I also recalled our trip out to Alcatraz on that same trip. 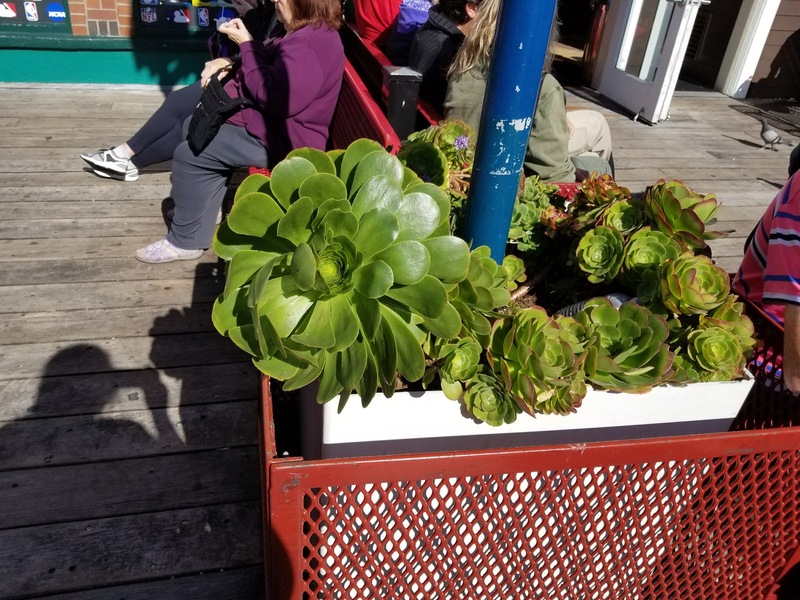 Fishermans Wharf also had the largest succulents I have ever seen... beautiful! 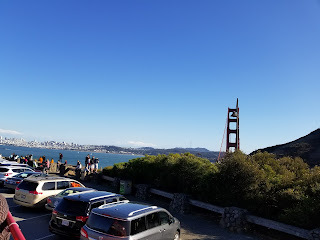 While in San Francisco we also did a tour around the city that was nice. Besides going under the bridge we also went over it twice. 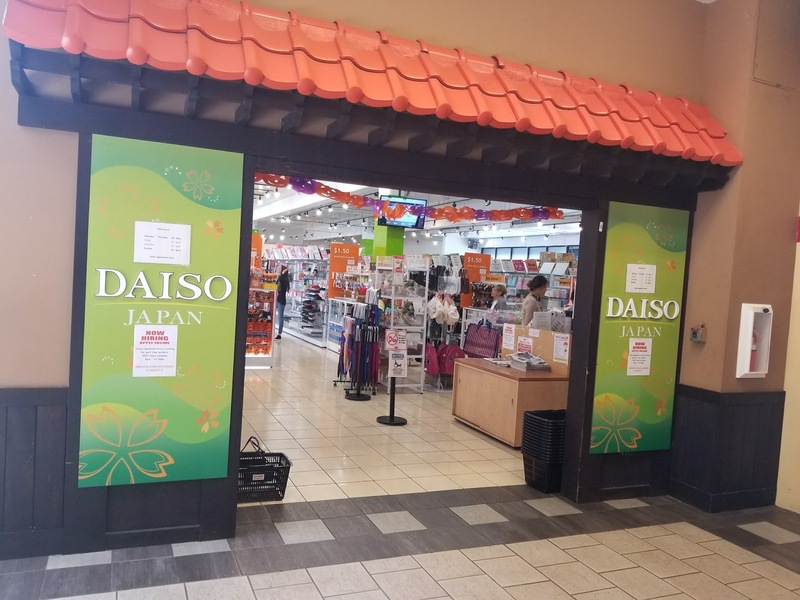 We also spent a whole day in Japantown which was the highlight of the trip for me. The girls would have loved it and I would love to bring them back. 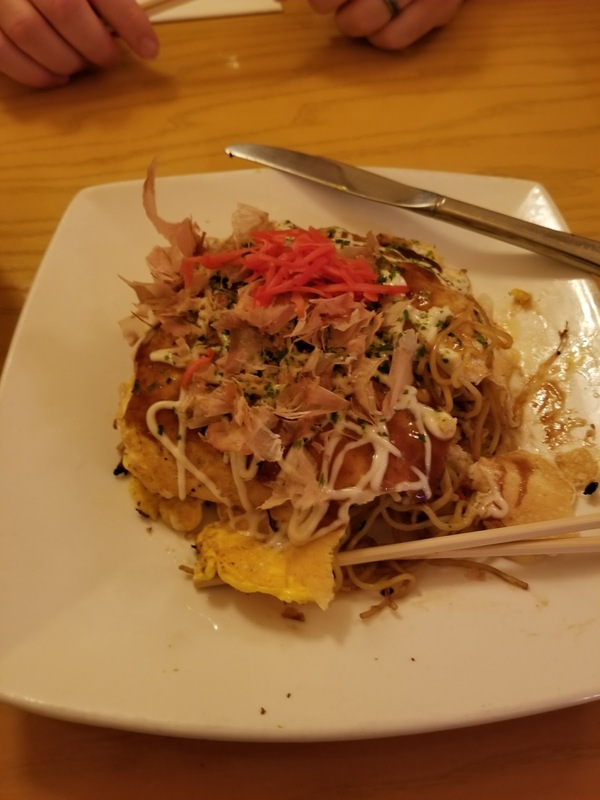 I finally got to try authentic Okonomiyaki and Taiyaki. I loved the Okonomiyaki but the Taiyaki was just ok. I am not so sure it wasnt just how it was prepared. 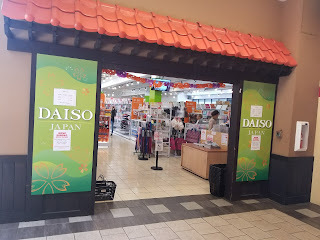 We hit up several fun shops-- Daiso ( 1 Yen store), a huge bookstore called Kinokuniya that had the largest Anime section I have ever seen and I have a daughter who happens to be obsessed with anime lately.. and anime boys...sigh, boy craziness is starting. There was also a huge Studio Ghibli section that my youngest would have loved but the majority of the shops had Ghibli items. There were tons of kawaii stores where the girls lucked out with some cute souveniors, and a special squishy for one... the squishy obsession is high in my house right now. 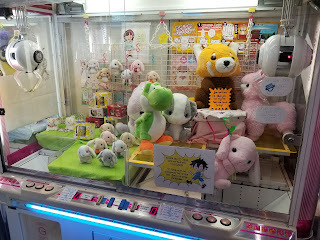 There was also a Japanese Arcade called Japan Playaland, so fun! And now a week later I have made the 30 hour trip to Bangalore, India. It was quite the trek to travel around the world. My next post will be my India trip and how it all turned out.